We are a team of experienced electricians servicing Brisbane and the surrounding Suburbs. We have always proven our expertise in Aircon Installation units for residential, commercial and industrial organisations. Our business relationship or services do not stop after installation. We are more than happy to provide you with ongoing maintenance and servicing the air-condition units we installed at a competitive rates. Our team of service engineers are the best when it comes to fixing or repairing broken units. We always try to fix your broken until instead of just giving up on it and asking you to replace the entire unit. By doing so, we not only save you money, but also save you time. These days it is a very common practice for many air-condition suppliers or service engineers to provide you an instant quote the moment you call them to fix your broken air-condition. Even before thoroughly investigating on what the issue is, they simply provide you a new quote to replace the entire unit. However, we here at Electro Guru understand the value for money, we will thoroughly inspect your broken until and look for any possible chances to fix it without jumping into conclusions and asking you to replace the entire unit. If you are thinking about new Aircon installation, or thinking about servicing it, please feel free to give us a call today or even send an online enquiry and one of our friendly staff members will contact you today to schedule a date and time to visit your house or workplace and provide you a no obligation and free quote. 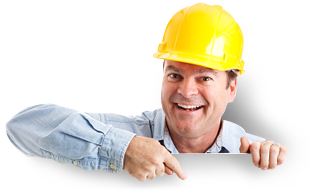 Want To Book Electrician for Aircon Installation?